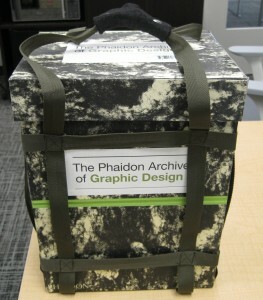 A hefty olive-green box has appeared in our reference section: The Phaidon Archive of Graphic Design. This "book-in-a-box" is great (and fun) to sift through for inspiration and enrichment. 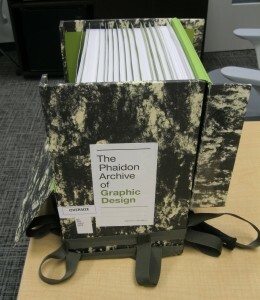 It contains five hundred sheets of card stock which together give a history of graphic design. 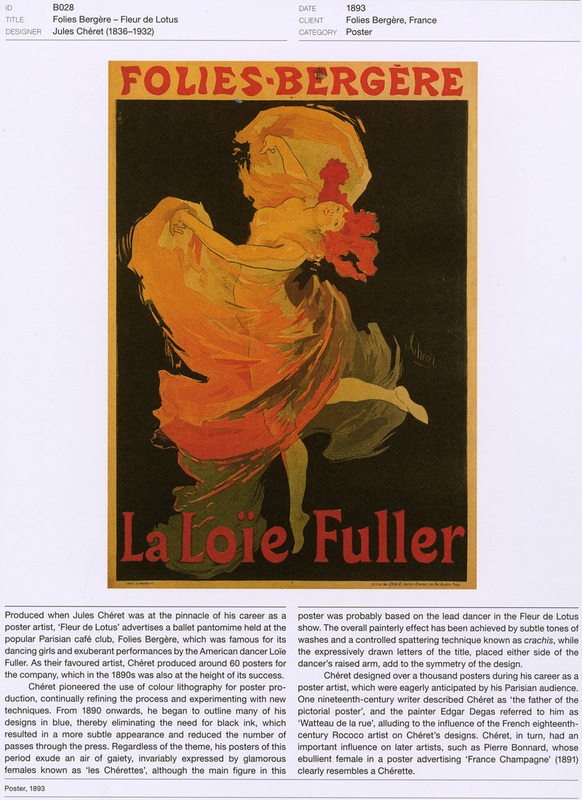 Each sheet has two sides: one reproduces an important work of graphic design (see Side 1 below), and one includes the name of the designer, client, title of the piece, and historical/biographical remarks (see Side 2 below). Works range from the Gutenberg Bible to the Mercedes-Benz logo to the Obama posters (and the Periodic table is in there too!). Also in the box is an index you can use to look up works by title, designer, client, or category. 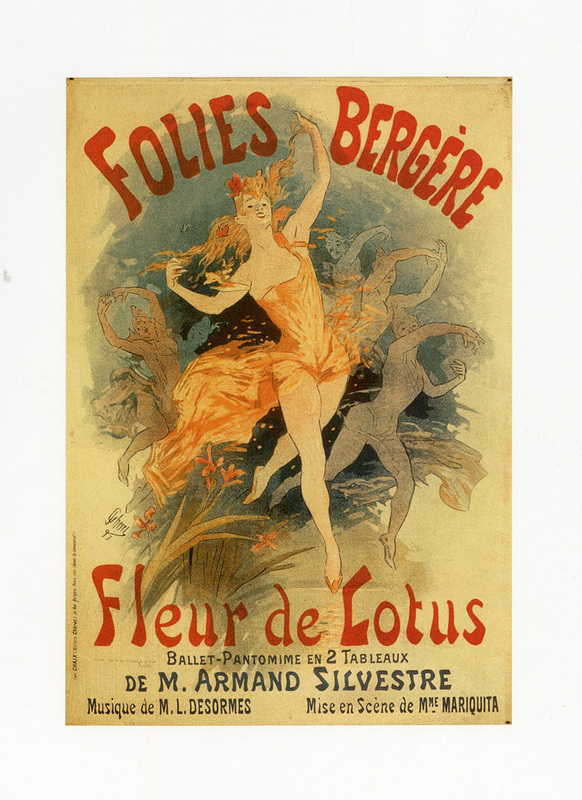 We currently have sorted the pages alphabetically by last name of the designer, but it is possible to sort them chronologically or by category. Which do you think is best?